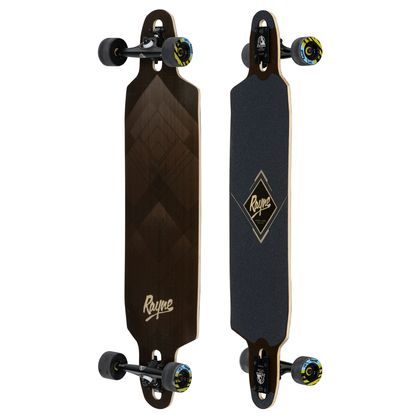 The Vendetta is an easy-to-ride, lightweight maple deck made for carving, pushing around town and light freeride. 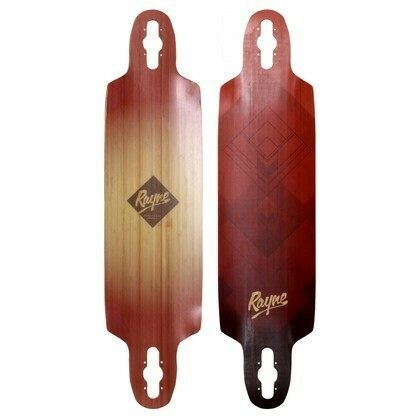 The deck has a medium concave that provides leverage for carving and a flat center for stable pushing. 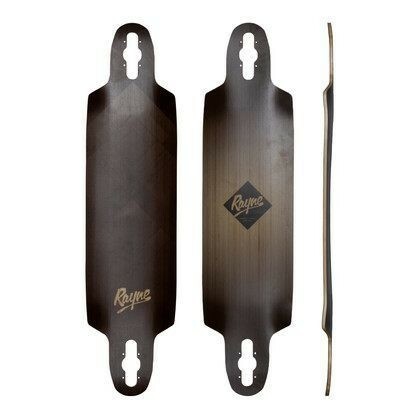 The platform of the deck has a continuous rocker for comfort and rider ergonomics and an upturned nose & tail that make the board easy to move on the ground or into your hands. We’ve made the Vendetta to have a Firm Flex - it has a little cushion for pushing but it solid and you will feel confident and in control during hill bombs and slides. 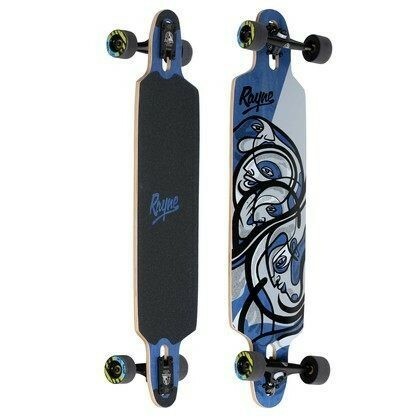 The drop through truck mounts lower the ride height of the board and make pushing the board easy while improving stability at speed and making slides easier to initiate. 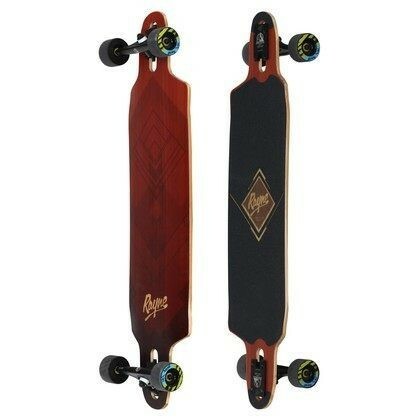 The Vendetta is an excellent deck for beginner-intermediate riders who want to improve their skills, and ride in comfort. 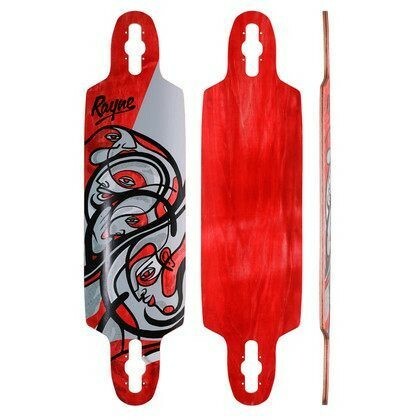 In comparison with other Rayne Decks, riders who plan to push long-distance or want to slide at really high speeds should also check out the Demonseed Series. To pick the right size Vendetta you need two measurements: the width of your stance, and the size of the Vendetta standing platform. 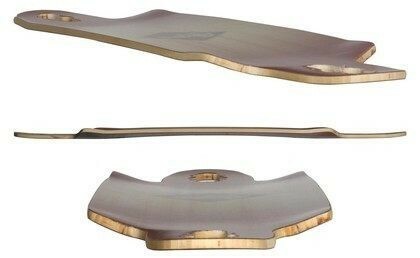 The standing platform is the area of the board where you can safely put your feet. -Place your feet shoulder distance apart on the floor and measure from the outside of one foot to the outside of the other foot. Standing Platform for the Vendetta 37 is 23”, Vendetta 39 is 25”. 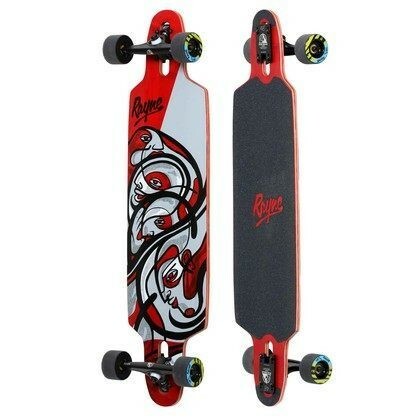 If you plan to use this longboard primarily for pushing & getting around town, pick a Vendetta with a standing platform that will contain your stance. 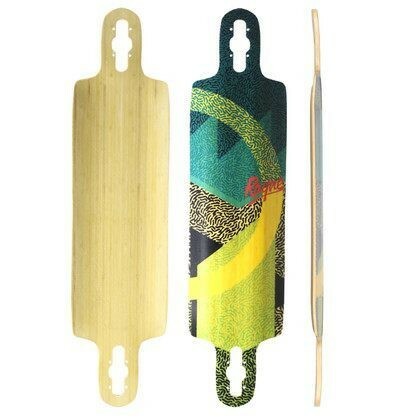 If you plan to use the Vendetta for slides and freeriding then add 3-5” to the width of your stance measurement and pick a size that will contain this larger “power stance”. You might also choose a bigger or smaller deck based on skill. If you want more slide - size up . If you want a bit more grip or less weight - size down. If you don’t have a tape measure or are buying a gift for someone else, the Vendetta 37 will fit riders up to 5’8” and the Vendetta 39 will best fit riders over 5’8”.